Thank you For Ordering Boxes! Thank you helping to bring Good News and great joy to children around the world through Operation Christmas Child. 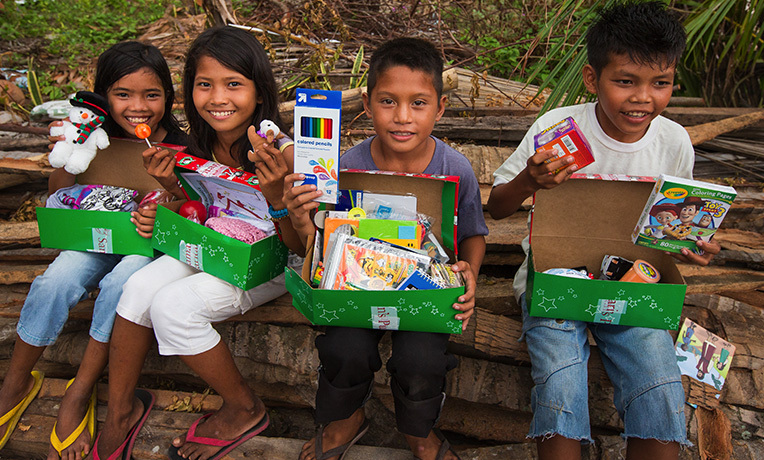 Millions of boys and girls will experience God’s love through shoeboxes collected this year. Learn how your church can throw a packing party to get people of all ages involved in Operation Christmas Child. Bring your boxes to one of our drop-off locations during National Collection Week, November 17-24. Thank you again for packing gift-filled shoeboxes for children worldwide in Jesus’ Name. We trust God will bless you even as you are blessing others!